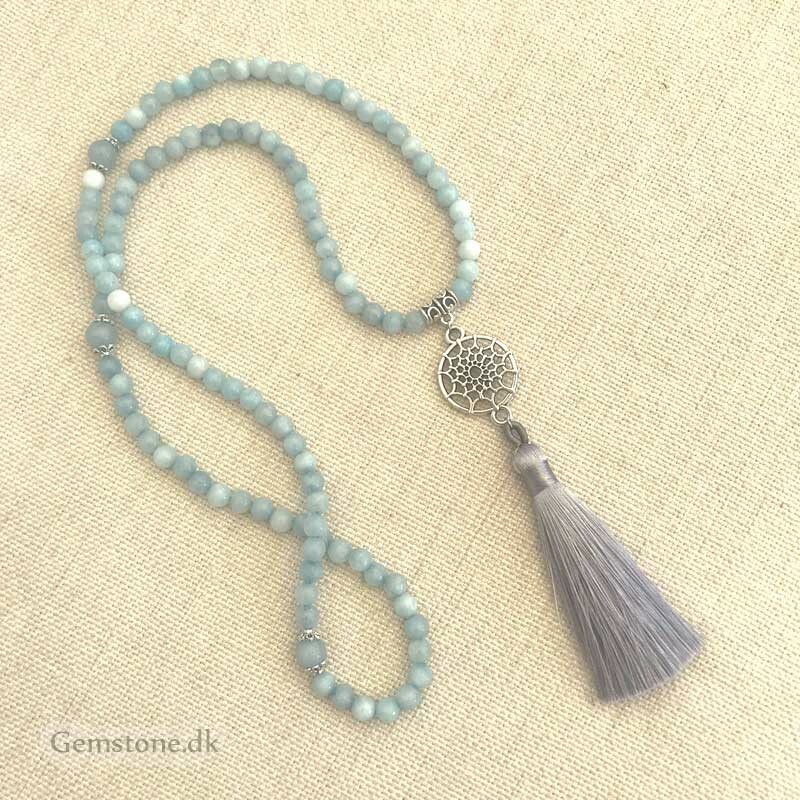 Mala Beads Necklace, handmade of 108 natural Aquamarine gemstone beads, with Dreamcatcher Pendant & a Tassel. 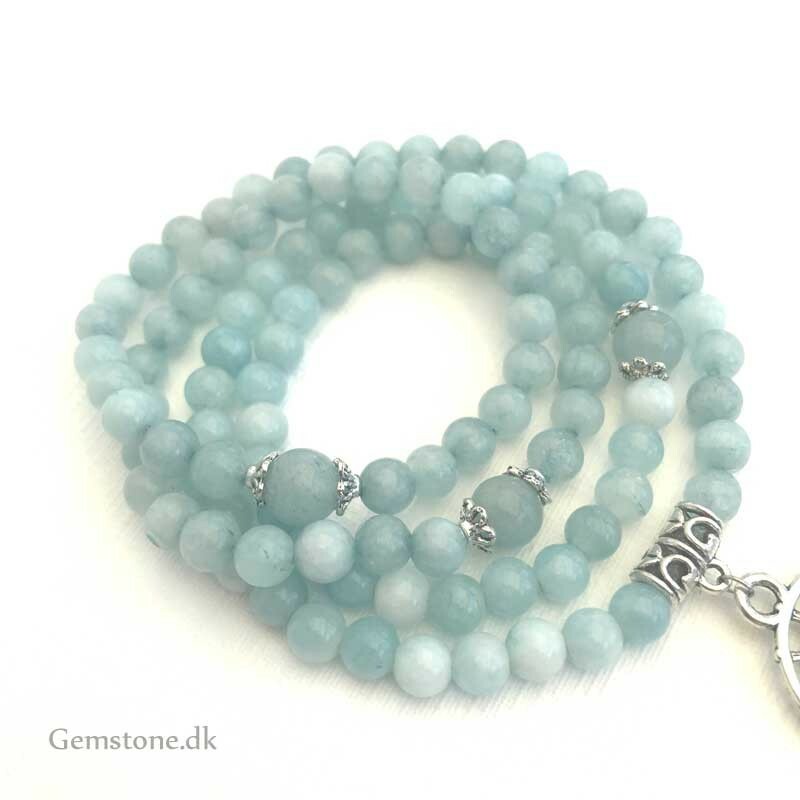 Use this Natural Aquamarine Stone Mala to cleanse and stabilize your inner being by removing and/or transforming negative energy. 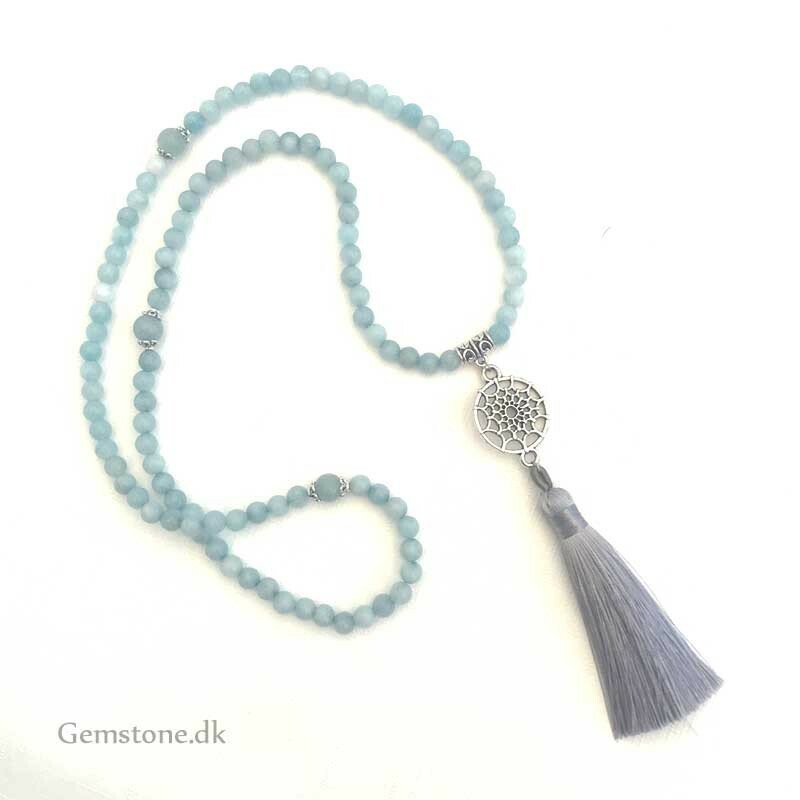 Mala Beads Necklace are a set of beads, traditionally used to focus and center oneself during meditation. Each bead may represent a mantra, prayer or intention. Gemstone Mala Beads can be used for prayer or as a necklace or bracelet.